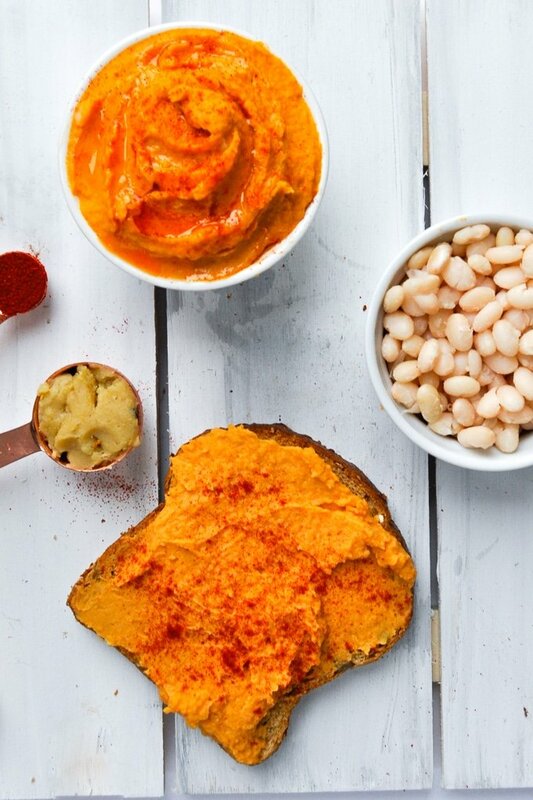 Turns out there is a big difference between paprika and smoked paprika. Can you guess the difference? Yep: smoke. Turns out that it’s a wonderful difference. 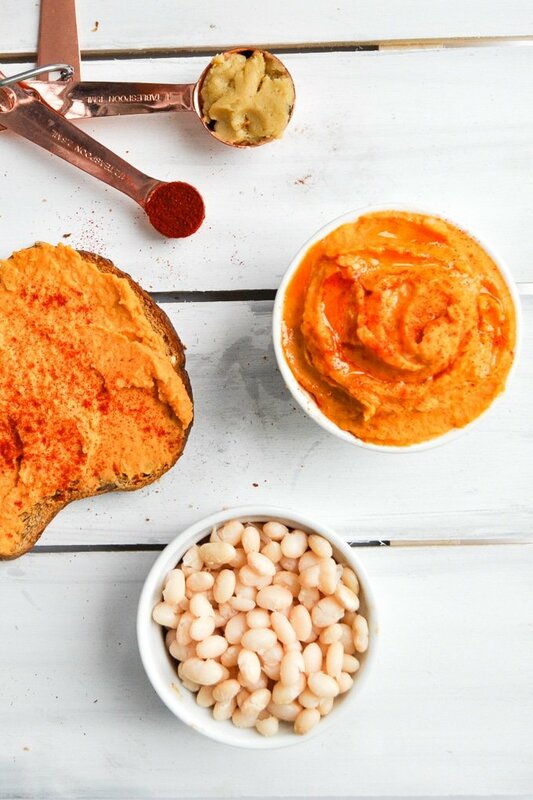 The smoke adds a whole extra layer of flavor to meals, from soups to bean dip (ha ha ha). So, if you’re like me and try to make substitutions for recipes because you don’t feel like running for the store: don’t do it with this one. The smoked paprika adds so much flavor. Moving on to our second star ingredient: miso! Miso paste is a traditional Japanese seasoning made with fermented soybeans. The soybeans are fermented in salt, koji, and barley or rice malt. Yellow miso is usually fermented with barley and a small amount of rice. Because miso is fermented with salt, it is pretty high in sodium. Fear not, this recipe calls for only one tablespoon of miso (which has about 600 mg salt) and is divvied up into multiple servings, so things even out. That being said, I wouldn’t recommend spreading miso all over everything – moderation, of course. 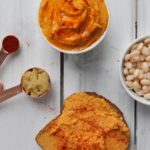 Blend up the five ingredients in a food processor until smooth and you’re on your way to a great veggie dip or sandwich base. Or you can be weird like me and just lick the smokey miso bean dip straight off the spoon. 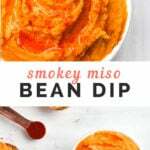 Smokey miso bean dip takes only five minutes to make and uses just five ingredients. 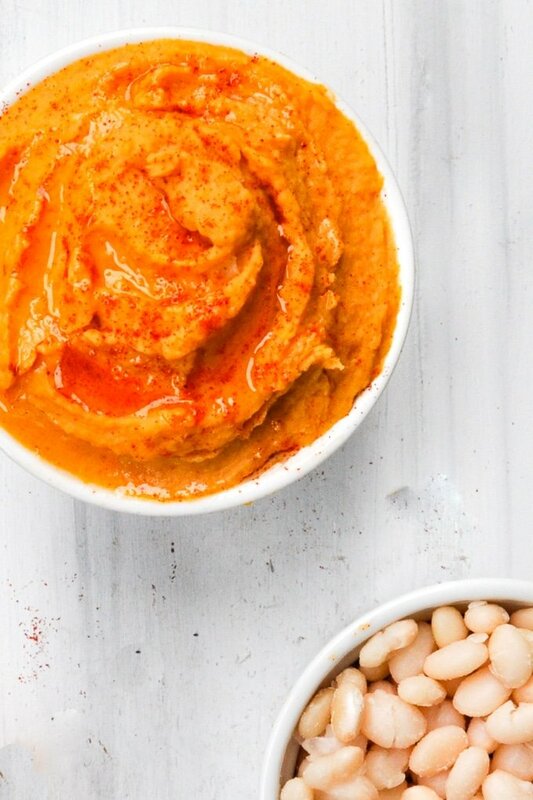 Combine all ingredients in a food processor or blender. Blend until fully pureed and smooth. Top with extra olive oil and smoked paprika if desired. Serve hot or cold. Store in covered container in fridge for up to one week.